Please visit this page to find updates on National Junior Honor Society activities and deadlines. 1. March 9 MAKE A BLANKET DAY. project linus will be there. Bring your hours sheet so a representative can sign off. Times: from 3-5 or 4-6 pm. Contact organization for more info. These opportunities are now open for registration and can be found on the SantaClaritaVolunteers.com site under “2019 Volunteer: Library Opportunities”. 8:45 a.m. – 12:45 p.m.
SPRING Applications....pick up an application from Mrs. Burleson or Mrs. Sandoval at brunch or lunch. Spring Field Trip will be in April. We will update you on the location at our March meeting. 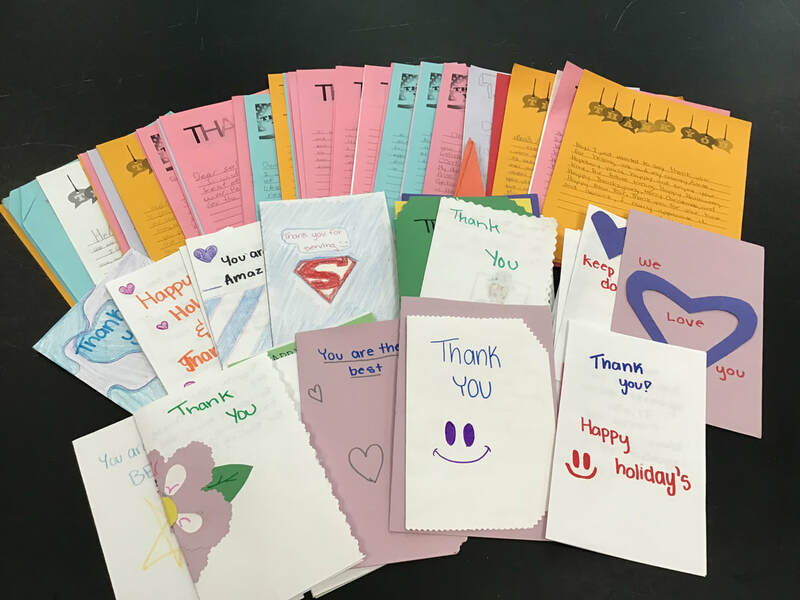 117 Thank you letters for Operation Gratitude were made this week. Great Job Honor Society! !